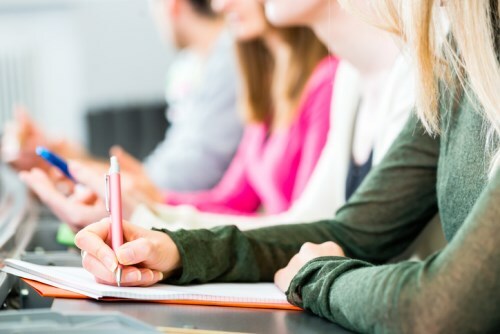 The latest round of NAPLAN results painted a grim picture for Australia’s literacy outcomes, showing a 2.04% decline in writing skills across all year groups since 2011. This prompted Federal Education Minister, Simon Birmingham, to hold talks with his state and territory counterparts in an effort to reverse this disturbing trend. Fortunately, some programs aimed at boosting students’ literacy outcomes are showing promising results. One of these is the Seven Steps to Writing Success program – now in its 13th year – which has shown to raise NAPLAN data by 1-3 levels within a single year. Since implementing the program, Term 1 and 2 workshop attendances in NSW have more than doubled compared to the same period last year, and School PD sessions are up by 40%. Below, the program’s creator, Jen McVeity, tells The Educator about the factors that may be behind Australian students’ literacy woes and what can be done to address them. TE: The 2017 NAPLAN results showed a 2.04% decline in writing skills across all years in Australia since 2011. Is there anything in particular you would attribute to this decline? JM: With NAPLAN returning to Persuasive Writing this year, we suspect that many students returned to the same old ‘formula’: Firstly, Secondly, Thirdly, In conclusion. While this persuasive ‘formula’ may be helpful for students who struggle to know how to get started, it means that all these students sound very much the same. They don’t have a ‘strong voice’, which is something NAPLAN rewards. The NAP website says outright that the formula is not a good writing strategy for developing writers. However, the Seven Steps concepts, particularly Step 1: Plan for Success, help students plan an argument without being locked into a formula. They also learn that they need to use their whole toolkit of writing skills to engage their reader – Sizzling Starts, powerful dialogue or quotes, and to ‘show, rather than tell’. A formula can lock you into a cliché, whereas an interchangeable set of techniques – as in the Seven Steps – enables you to write engagingly, regardless of the genre. TE: Can you share any updates as to Seven Steps’ continued success as of Term 4, 2017? JM: We can see a real shift in focus to writing for schools in 2017. While we attribute some of that to a slight decline in writing scores around the country, we think a major aspect of it is that schools and teachers are now looking to make a real change to their student writing. Almost 40% more teachers have attended the Seven Steps Workshops in Terms 3 and 4 in 2017 compared to 2016, and NSW teachers make up a significant proportion of that increase. We expect to train over 5,000 teachers in the Seven Steps in 2017, covering well over 1,000 schools. But what makes us excited is that will mean over 125,000 new students will gain the practical and effective writing skills that will make them confident communicators now, and for their future. TE: Can you tell us about any new programs or initiatives that Seven Steps has planned for 2018? JM: We asked teachers what they want most for their students and it was this exactly: They want their students to write engagingly regardless of the genre. Can writing classes prevent student disengagement?